RNI adheres to the highest standards of ethical business practices in the staffing industry, including any and all regulatory standards. In 2008 we received our first Gold Seal of Approval for staffing companies from the Joint Commission, which is an independent and comprehensive evaluation of a staffing company’s ability to provide high-quality services. 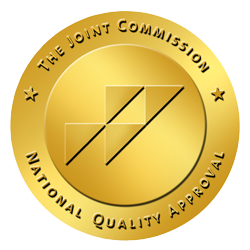 RNI is certified by The Joint Commission, earning RNI the Gold Seal of Approval for healthcare staffing services. This certification acknowledges RNIs’ compliance with the Joint Commission’s national set of consensus-based quality standards. It is a violation of RNI policy to intimidate or impose any form of retaliation on an employee who, in good faith, lawfully or truthfully reports an actual or suspected legal, ethical or policy violation. Click here to send us an e-mail or call (415) 420-7777. Once contact is made, prompt appropriate, confidential investigations will be undertaken and corrective and or disciplinary actions will be recommended. Any individual or organization that has a concern about the quality and safety of patient care delivered by RNIs’ healthcare professionals, which has not been addressed by RNI management, is encouraged to contact the Joint Commission at www.jointcommission.org, email them at complaints@jointcommission.org or by calling the Office of Quality Monitoring at (630) 792-5636.